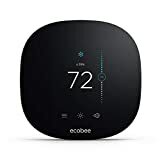 Thermostats, not only cleverly control the heat and cooling systems of your home, but reduce energy consumption by an estimated 20%, therefore offering homeowners huge savings on expenses! 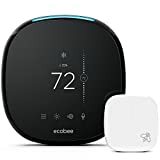 Modern thermostat devices can automatically track temperatures, make sure your heating and cooling systems are working at peak performance and some even offer monitoring access via mobile phones. Programmable, money saving and convenient! What more could you ask for. There are tons of thermostats on the market and we want to make your decision process as simple as your new thermostat will be. This shopping guide is designed to help you decide! 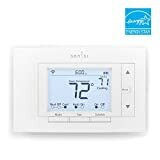 Programmable Thermostats: These offer more flexibility as they allow users to preset (or program) temperature adjustments throughout the day. 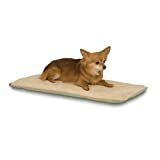 They can be set to adjust at different times of the day or on different days of the week. These are great value for money and offer homeowners much more peace of mind when they spend more time out of the home. Smart Thermostats: Smart Thermostats are the most popular of the programmable thermostats. Not only are you able to program these units, but they offer a variety of features including wifi, linking to mobile phones via apps, touch screens and learning capabilities. This function makes it possible for the thermostat to learn your routine, and to automatically adjust for seasonal or weather changes. Because adjustment can be made automatically or through your phone, these require very little monitoring. They are also the most energy efficient of the thermostats. Line Voltage Thermostats: These are used for baseboards or radiant systems. 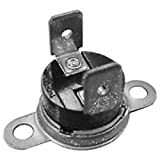 With this connection the current flows through the thermostat and the heater at the same time. Low Voltage Thermostats: These are more efficient thermostats for central heating systems that us oil, gas or electricity. They are also used in water heating systems. Manual Thermostats: With these thermostats you are able to manually turn your heating and cooling systems on and off. They are easy to use units and usually run with a fan. They are battery operated and some come with digital displays and can include temperature senses. These are good thermostats for people who like to manually control their temperatures and are home most of the day. 7 Day programs: With these flexible thermostats you can set an original setting for each day. If you have a busy schedule, this is the thermostat for you. 5-1-1 Programs: You can program four periods per session with these thermostats. They allow you to set one program for week days and unique programs for saturday and sunday separately. 5-2 Day Programs: You can set two programs with these types of thermostats, one for weekdays and one for weekends. 1 Week Programs: You can set four sessions in one program that gets repeated the whole week. Screen: Consumers appreciate good clarity, brightness and the larger size of their thermostat screens. A good screen will make your new thermostat much easier to use, program and monitor. System control: Thermostats allow you to control and monitor alerts, temperatures and settings in a variety of ways from either the unit, online or via a phone app. Depending on what function suits you, there is a thermostat to match it! Easy to install Thermostats are designed to make your life simpler and people are very happy with their units that were easy to install. Convenient features: Mobile phone apps and online functions are features that homeowners love in their thermostats. Choosing a thermostat with functions, program settings or extra features that fit your lifestyle will add a lot of value to your purchase. For the best results during extreme weather changes, buy a thermostat that can automatically switch between your heating and cooling systems. Wifi enabled thermostats mean your thermostat will have access to a lot of online features and is linked to your home network. Smart Thermostats that are linked to mobile apps offer convenient monitoring. They allow you to check your system, view alerts, set temperatures, and change programming no matter where you are. If running costs and energy consumption is important to you, then choose a thermostat with a ‘savings’ display feature. These thermostats show you what you are saving and recalculates it as the temperature changes. As an added bonus, this information can be viewed online! When deciding on a thermostat, it is important to think of power supply. Choosing batteries over wiring offers easier installation. Or install electric powered thermostats with a battery backup so that even in emergency situations, your thermostat will always have power. Getting a thermostat with a humidity sensor is super handy. Link your dehumidifier with your HVAC system and let the thermostat do all the work! Thermostats come with a one to ten year warranty, depending on the brand that you choose. Always check if warranty conditions are depended on installation factors. It is advised that when installing your new thermostat, it should be placed five feet above the floor and as close to the return air grill as possible. Do not place it behind doors, in direct sunlight, where the heat from other appliances will reach it, on outside walls or near windows. These areas will all affect the operation of your thermostat. Touchscreen thermostats offer top of the range technology and make navigating your thermostat functions and programs very simple. To make sure you are prepared for your day, buy a thermostat that can measure the temperatures outside or even give you weather forecasts for the week. This is particularly helpful with learning thermostats as the temperature is always regulated inside, you will have a better idea of what the weather is like outside before leaving the house. 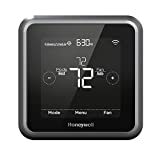 Honeywell: Honeywell's roots reach back to 1885, when an inventor named Albert Butz patented the furnace regulator and alarm in April, 1886 and they have making innovative quality products and thermostats ever since. Lux: Since 1914, Lux Products Corporation has manufactured quality products and thermostats for the home.